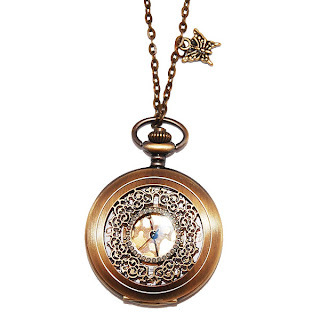 Our Pocket Watch Necklaces have always been a firm favourite, and it seems Becca from Fashion Train is as equally in love with them as we are! She's giving one lucky reader of her blog the chance to win one. For details on how to enter, simply visit the Fashion Train blog. The competition closes on 31 January, so make sure you don't miss out! i have entered this lovely giveaway ! !